We realise a few questions pop up when you're shopping online. To make it just that bit easier, take a look at our FAQs below. These are the questions most commonly asked. If you can't find the answer you can simply complete the Contact Us and someone will get back to you directly. Can I return a pair of boots I bought online from EMU, to any retailer? I received EMU boots as a gift but they're the wrong size. Can I exchange direct with EMU? I received my EMU boots but I think they're faulty, what should I do? Can I track my order once it's shipped? Do you ship to PO boxes in Australia? Do you ship to PO boxes outside of Australia? Where are my EMU products shipped from and who will ship them? What happens if I'm not home when my order is delivered? What happens if my items get lost in transit? How soon will I hear from EMU? How do I know I'm buying real EMU products? What should I do if I've found some fake EMU product? Where are EMU boots manufactured? What is the difference between a Platinum and normal Stinger? Will my EMU boots stretch? What is the warranty on EMU products? What is the best way to care for my EMU boots? My parcel hasn't arrived, what do I do? What happens if I order something and it's out of stock? Can I make changes to an order? Is it safe to order on emuaustralia.com? Our retail stockists are not owned by EMU, so we cannot expect retailers to accept exchanges that were originally purchased on our website. Click here to find out more about returns. EMU products are a great gift to receive and if the boots were ordered directly from the official EMU website, then with the order details we'll be able to assist. It's best to contact the person who gave you the gift, to confirm this information. We ship Monday to Friday, during normal business hours. We don't ship on weekends and public holidays. All deliveries can be tracked online and this tracking information will be emailed directly to you soon after your goods have left our warehouse. You'll see a link in the email, which is so you can follow your item all the way to your door. Once your order is dispatched, you'll receive an email from the carrier with your tracking number attached. You can use this to follow your item all the way to your door. Yes, we do ship to post office (PO) boxes, but only in Australia. No, we only ship to post office (PO) boxes within Australia. Yes. EMU Australia can be found all over the world. We use trusted shipping partners to get your EMU products to you. Here are the locations and delivery companies. No problems! Anyone at the address provided can sign for the goods. If no one is available to sign, the courier will leave a card which will have details on how you can arrange another delivery or a local pick up. Or they will try to contact you directly. No items will be left without a signature. If your parcel hasn't arrived within the estimated time period, we recommend you visit the carrier's website and check whether they've attempted to deliver to you. If there is nobody to accept the parcel, the Fed Ex driver will leave the package at the recipient's door, or other secure location, if the driver believes it's reasonable to do so. If you don't receive your item within a reasonable time frame, please contact the carrier using your tracking number details either online or by phone. If the carrier cannot locate your item, we will lodge an enquiry on your behalf. Please contact us if you have any queries regarding your delivery. Please contact us immediately via email . We'll arrange to have the correct item sent to you as soon as possible. Our offices operate Monday to Friday, 9am to 5pm. Our offices operate Monday to Friday, 9am to 5pm. If you contact us on a Friday, it is likely you won't hear back from us until the following Monday. Hold tight through, we'll make sure we get back to you quickly. It's good to be aware of fake EMU products. Sadly counterfeit products do exist and sometimes even online sites are fake too – they take your money but don't supply the goods. If you're not sure about a product, please contact EMU customer service. EMU is an Australian owned business. We have a factory in Geelong, Victoria that makes our Platinum Sheepskin products, such as Platinum Stingers, Outbacks and Slippers. Other fashion styles and kids products are designed in USA, UK and Australia and are made in China using the best quality natural materials. Good question! 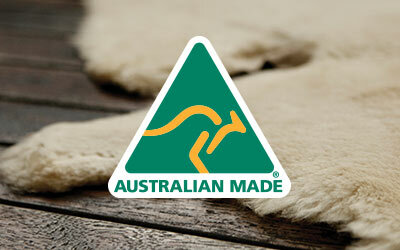 All our Stingers are hand crafted from Australian sheepskin and are water resistant. 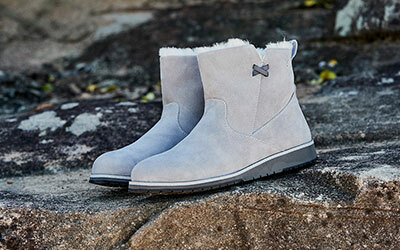 The difference is that the Platinum collection is an Australian made boot, made in our Geelong factory in Australia. So if you want Australian made then look for the word Platinum, it's the one for you. Your EMU sheepskin boots will naturally stretch with wear. Being a natural product, the sheepskin will give a little, so when you make your purchase the boots need to fit snug, but still be comfortable. If you are unsure of your size, check our size guide. Some of our fashion boots won't stretch as much as our sheepskin boots, so be sure to pick a size that you're ready to wear today. when purchasing from this range. We're happy to provide a manufacturer's warranty against defective materials or workmanship for 12 months from the date of purchase. If you purchased your EMU product from a retail store or third party website, your first port of call will need to be the store or place where your product was purchased. They will process your claim. If you purchased on our official EMU online store, please send us an email, with your order details and photos supporting your claim. We'll address it as soon as possible. The less fuss the better, when it comes to sheepskin boots. If they get dirty, let the dirt dry and then brush it off. It's best not to wash your boots or put them in the washing machine. Replacement insoles are not available online but you can visit our store locator and find a stockist nearby that might sell them. If you're in Australia, we require a signature on delivery, so if you weren't home at the time of delivery, your item may be waiting at the post office for your collection. If you order multiple items, these may be shipped in separate packages and may arrive at different times. If this occurs, please wait an extra day for the remaining item(s) to arrive. Our website is programmed to remove out of stock items for the online store, but occasionally an item sells out within the day you may order. If an item on your order is sold out, we will still ship the available merchandise and send you an email to notify you of this shortage. We will offer to refund or replace with another style of equal or lesser value. After you've ordered your EMU products you'll be emailed a confirmation with your order number. Make sure you entered the correct email address. If you are unsure, please email us at support@emaustralia.com or call the EMU office to confirm. While we pride ourselves on processing orders quickly and efficiently, unfortunately once your order has been confirmed we can no longer cancel or modify the order. You can however return your purchase. Here's some more information about our returns policy. When you visit your shopping cart, you will have the opportunity to enter your coupon code. This will then adjust the price of your products before you proceed to make your payment. Yes! All payments are processed using a Symantec SSL certificate. Your details are protected and can only be read on the secure server. Security checks are also completed for online transactions to ensure the authenticity of credit card payments and protect you from fraud.